The innovative Thule Slide Bare makes loading and unloading heavy items as simple as possible. 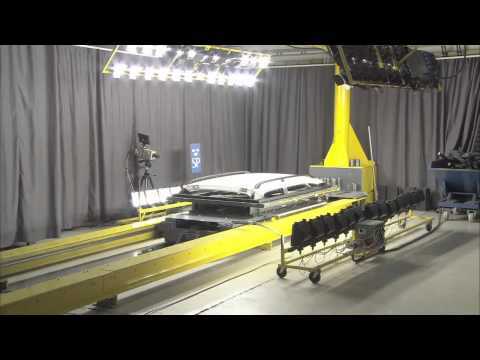 By sliding each side of the vehicle, it protects the car from damage and the user from getting dirty! Thule Slide bars are particulary useful for carrying bikes, kayaks, bulky loads and for use on tall vehicles. All Thule's slide bars are equipped with a T-Track - an ingenious feature that has clear benefits: When you change load accessory, e.g. from bike carrier to ski carrier, simply slide in and attach the new accessory. To place an on line order for slide bars please go to the Thule Roof Bar Guide and submit your vehicle details or phone our sales department on 01732 884408. Bi-directional sliding (60cm in each direction), for easiest loading of bulky load on car roof. Bi-directional sliding, to avoid scratches to the car and dirt on your clothes. One-hand release functionality with rubberized grip-panels for most ergonomic user. City crash approved for 90kg according to ISO-norm. Fits all Thule Rapid System load carrier feet. 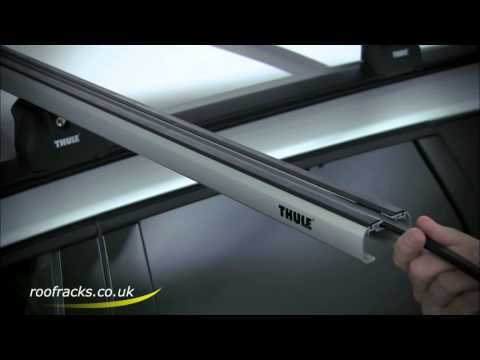 T-track adapter required when using Thule roof mounted load accessories.